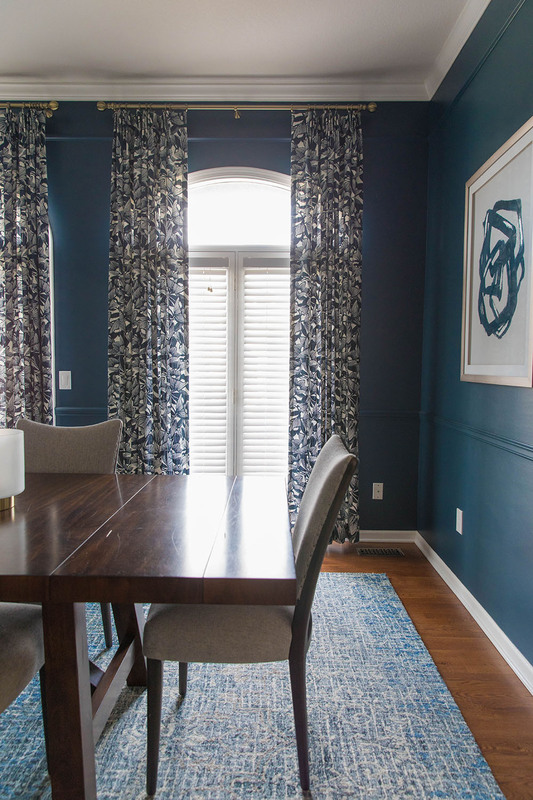 Our clients came to us wanting to give their dining room a dramatic facelift. 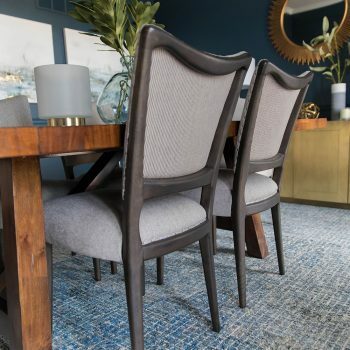 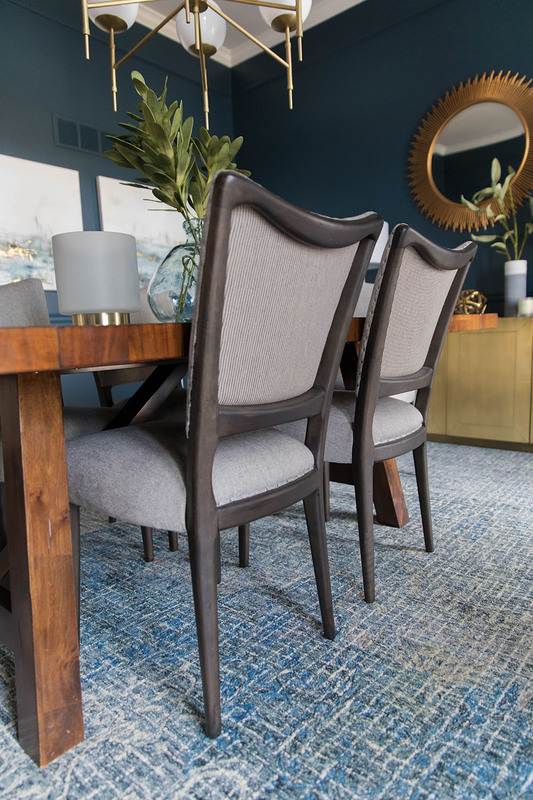 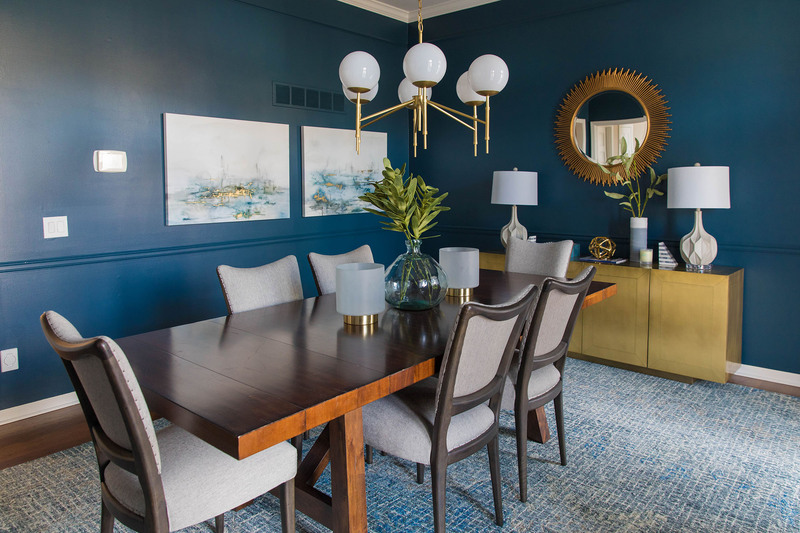 They wanted to incorporate their existing dining room table but wanted a fresh look for the remaining pieces in the room. 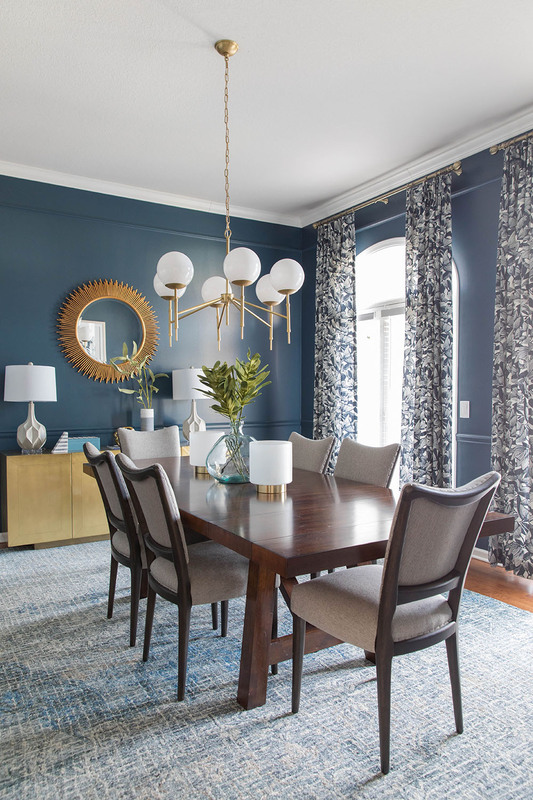 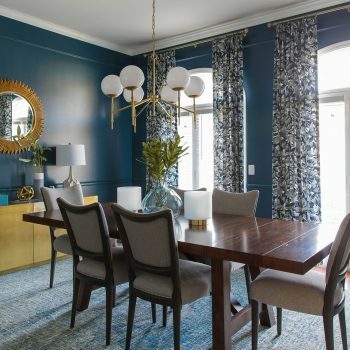 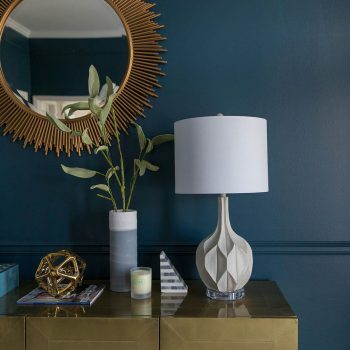 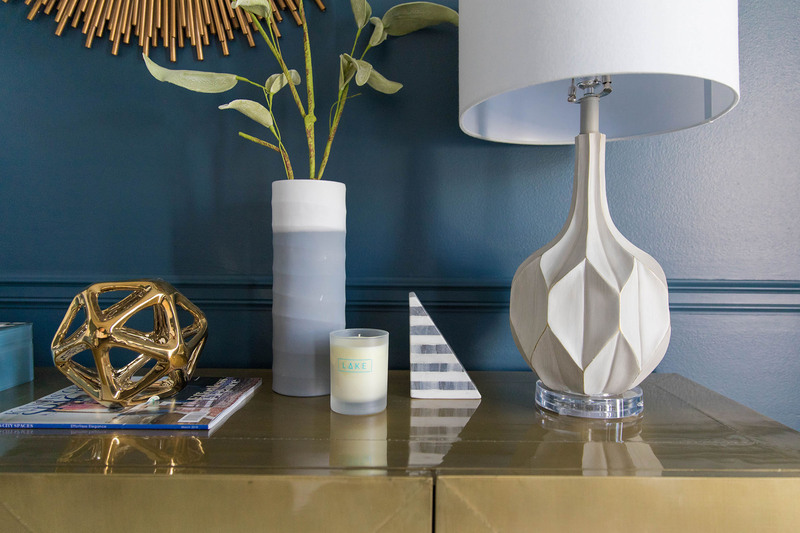 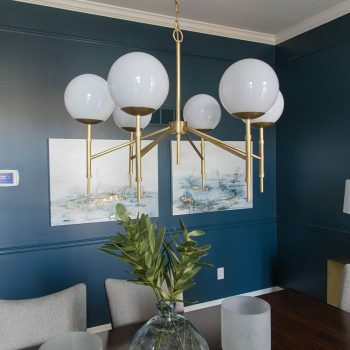 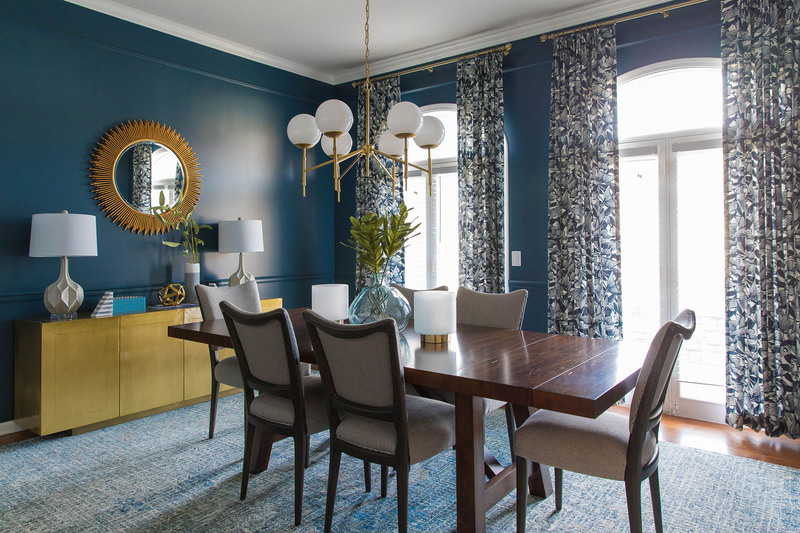 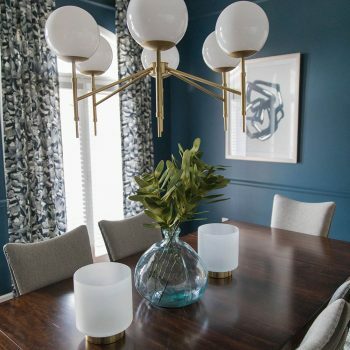 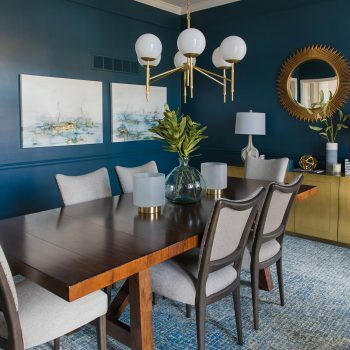 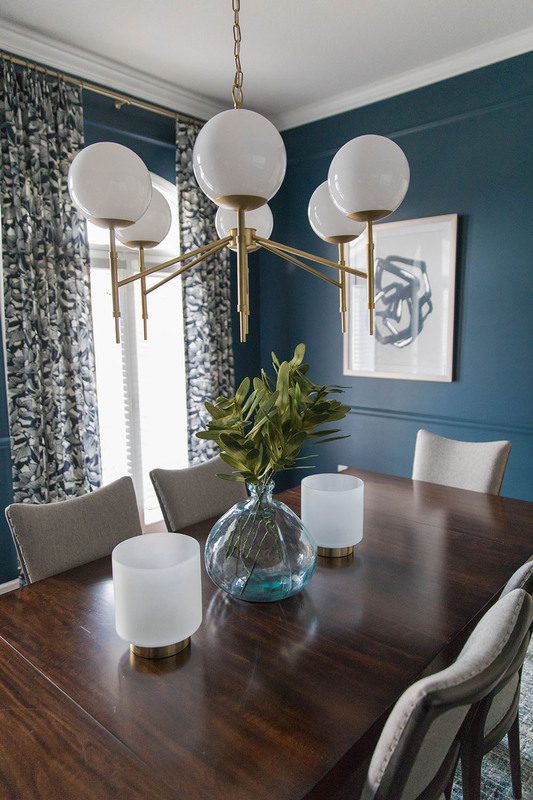 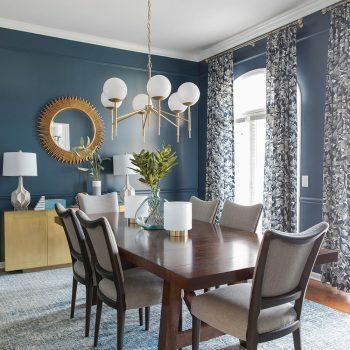 With the adjacent spaces of the home being light and bright, we thought this could be a great room to go dramatic and dark with the deep cobalt paint color. 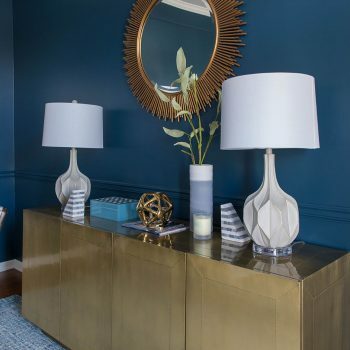 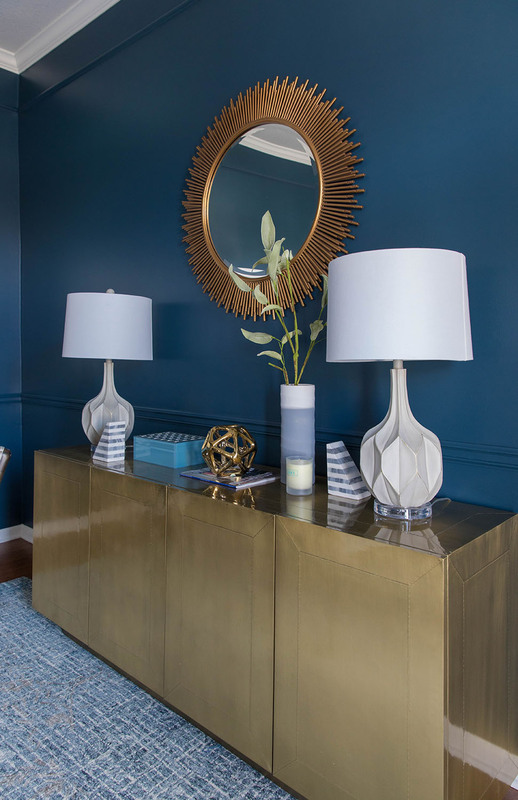 Using brass accents in the light fixture, mirror and sideboard, it provides a great contrast to the richness of the walls. 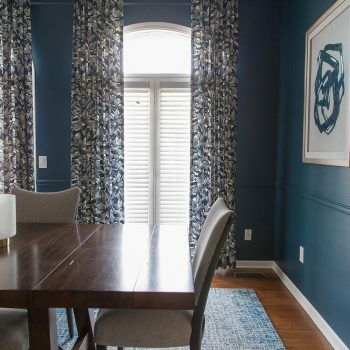 There are two beautiful french doors leading out to the front of the house. 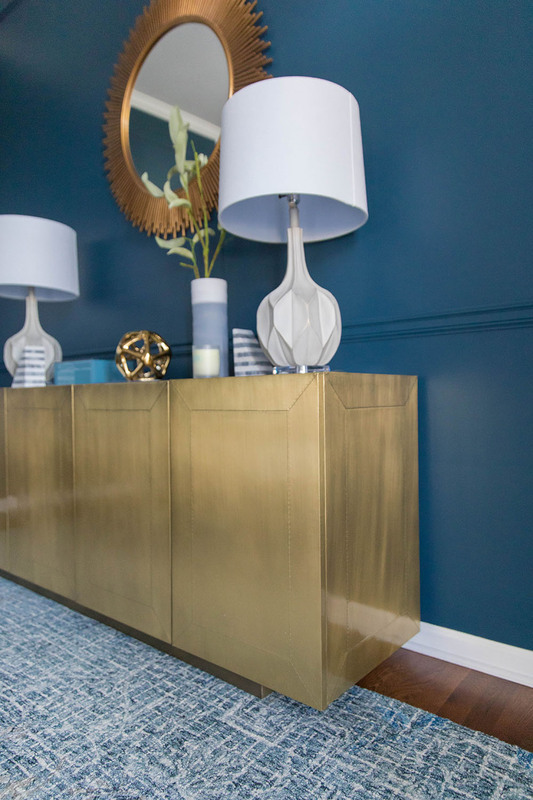 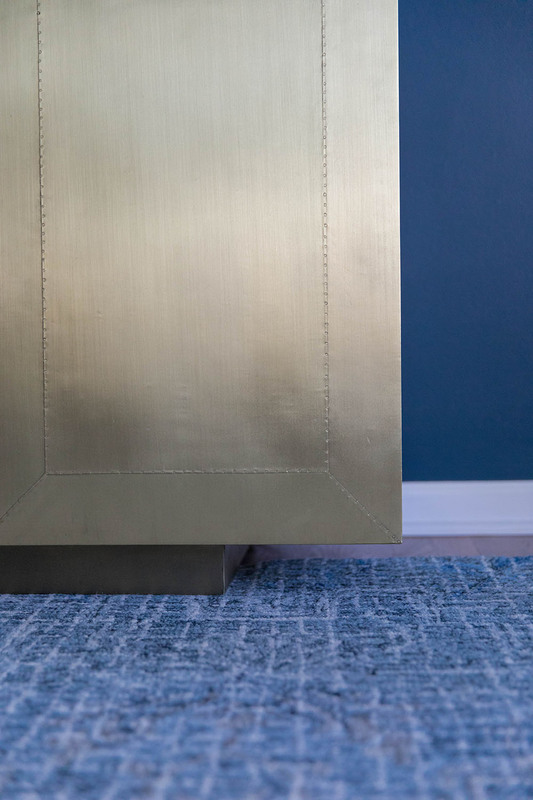 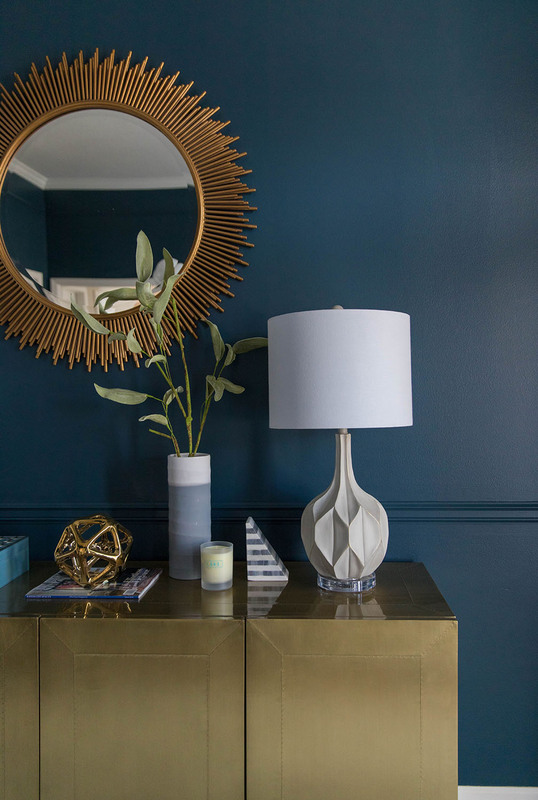 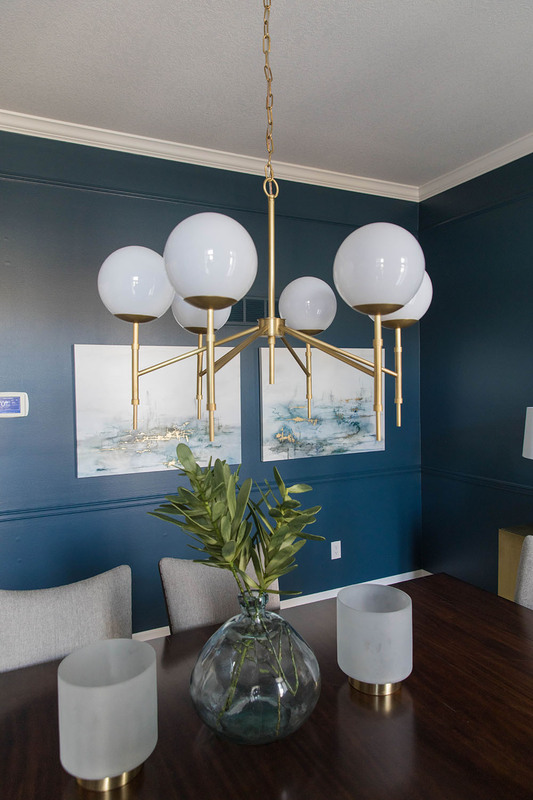 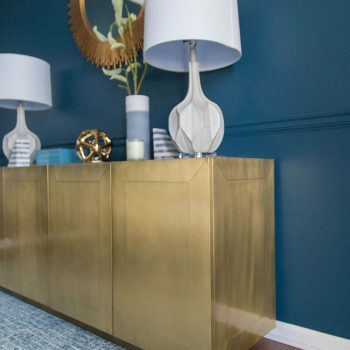 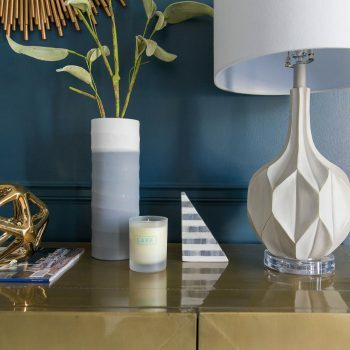 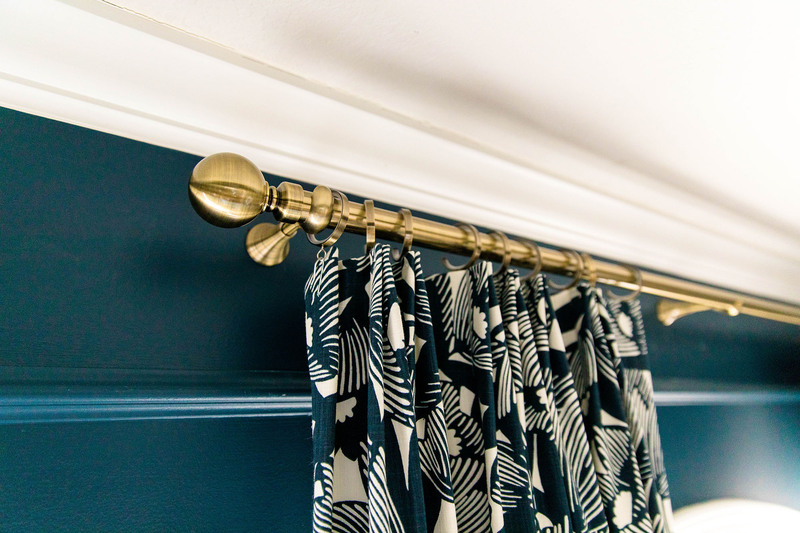 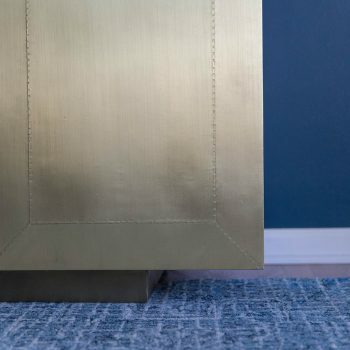 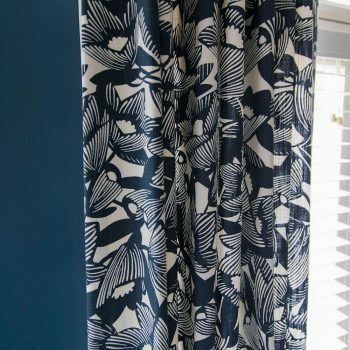 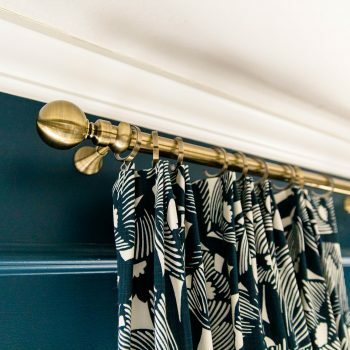 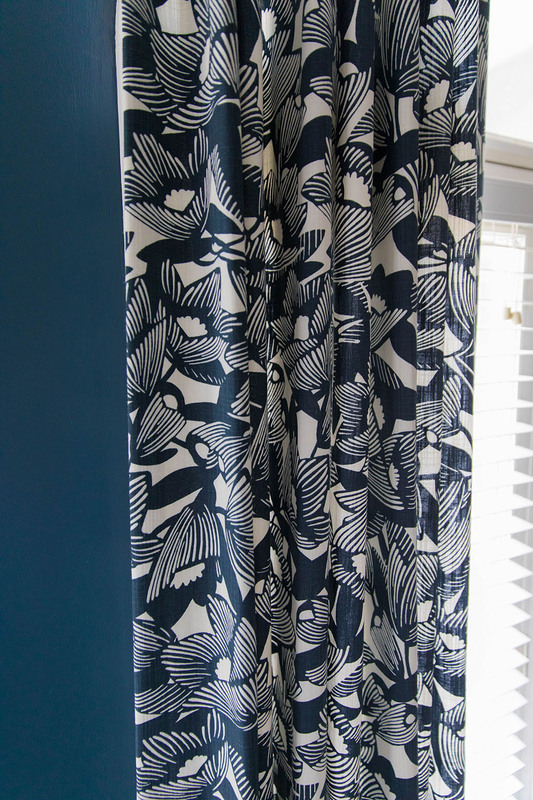 They are such a great feature to the room so we chose to accent those with a fun pattern in the bold draperies and play up the warm metal tones with brass hardware.